We are hiring NOW for Spring 2019 Move-Out - Click to Apply Now! The most convenient Storage Service for Tufts University students! Tufts University has appointed The UPS Store Student Storage Program to be the Preferred Student Storage & Shipping Service on the Tufts University Medford/Somerville Campus. Never wait for a Box delivery or a Scheduled Storage Pickup! To make move-in as easy as possible, Tufts and The UPS Store Storage Service have arranged through their exclusive Pre Move In Delivery Service , to have your storage returned directly to your dorm room and will be waiting for you when you return to school in the Fall. Never wait for a storage delivery again! A FREE service for Tufts students living in dorms. In-Room pickup of storage & shipping is available for an additional fee. Please note that The UPS Store Student Storage Service is the only authorized student storage and shipping service allowed to enter Tufts University buildings. The UPS Store Storage Service Exclusive! Only $29.99 for the Entire Summer! Try our sturdy, Environmentally Friendly, reusable storage bin option! 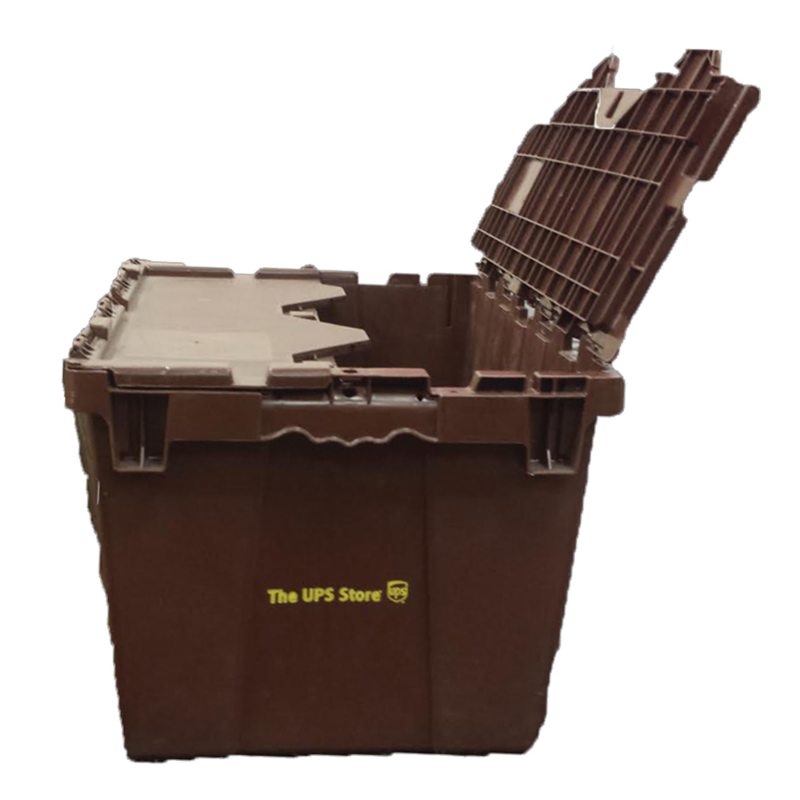 These storage bins provide added protection for storage items, are crushproof, dustproof, water-resistant and are easy to move and carry. Best of all, they provide a zero-waste storage option! The bins are easy to return - simply stack them in any Tufts dorm lobby. *Only available at Tufts University, Emerson College and Boston University. Living Off Campus or Moving Out Early or Late? Tufts University students who live off campus or can not drop off storage at a station during Move Out week, can Schedule a Curbside Storage or Shipping Pickup Online after you Sign Up for Storage, or by calling our Storage Hotline at 617-208-8226.